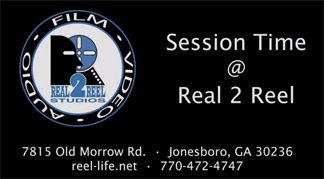 Bill Turpin hosts this episode of Session Time @ Real 2 Reel Studios. Bill discusses bass guitar and preparing for a studio session. This is part 1 of a multi-part episode and focuses on basic string types. James Cobb and Will McPhaul host this episode of Session Time @ Real 2 Reel. The episode focuses on mic placement when recording a guitar amp. This is Part 1 of a multi-episode series on mic’ing a guitar amp. This episode shows 4 mic placements on a single speaker and the sonic differences of each. Download the 4 audio examples.